The orderCentrospermae (Caryophyllales, Chenopodiales) as treated inA. Englers Syllabus, 12th edition (1964), is compared with several other modern and older systems with the result that no less than 11–13 (and more) families are considered to be centrospermous in the strict sense; to these may be added thePolygonales and, doubtfully, thePlumbaginales andBatidales. As indicated by their name “Centrospermae” their main character is the central or basal placentation in combination with campylotropy (or amphitropy) of the ovules, seeds with perisperm, and coiled or curved embryos in peripheral position. Other outstanding features are found in the embryology; the ovules are bitegmic-crassinucellate, a nucellar cap is present, as well as an endostome and air spaces; the pollen is trinucleate. Anomalous secondary thickening in stems and roots often occurs. 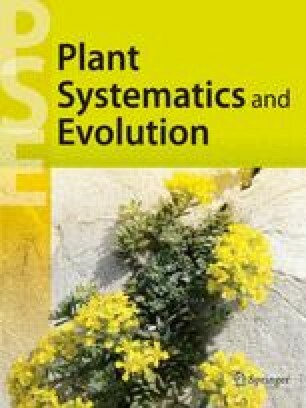 The pollen morphology, specific P-type sieve-element plastids, and the presence or absence of betalains are also important characters. Other floral features, especially the structure of the gynoecium, the androecium, the perianth and the receptacle, as well as the morphology of the inflorescences are of taxonomic importance. The putative relationships of theCaryophyllidae can perhaps best be resolved on the basis of more detailed morphological investigations (e.g. the so-called apocarpy, the development of the androecium, the pollen morphology, chromosome numbers, etc.). Presented in the Symposium “Evolution of Centrospermous Families”, during the XIIth International Botanical Congress, Leningrad, July 8, 1975.